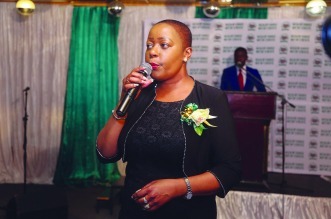 Standards Association of Zimbabwe director-general Eve Gadzikwa has challenged local firms to prioritise customer needs which yearn for high quality goods and services even under unfriendly economic conditions. Speaking in the capital on Friday at a handover ceremony of the ISO 9001:2015 certificate to Nashua Automated Business Solutions, Gadzikwa said while there were existing challenges in ensuring customer satisfaction, creating consumer value still remained paramount. “Customer orientation is about creating customer value, understanding customer needs and providing and measuring customer satisfaction. Irrespective of power as a manufacturer or supplier, you must make products and services available wherever and however the customer wants them,” Gadzikwa said. Faced with an unbearable cash crunch compounded by the unavailability of foreign currency for companies that import adequate raw materials, most Zimbabwean firms have resultantly dropped the quality of their manufactured goods as they try to survive and adapt to the harsh economic conditions. Gadzikwa said the attainment of the ISO certification by Nashua was testament that the organisation that deals in the selling of heavy duty office printers among other things, was competently meeting its obligations despite all the challenges and this positively impacted on customer satisfaction. She went on to highlight several benefits that can be tapped from attaining an ISO certification from the local standards body, emphasising that this was a stepping stone for any business to gain a competitive edge. “It allows you to improve the quality of your goods and services, cut costs and to improve your profit while giving your business a competitive edge,” she said.